Spring 2009: We are not currently taking orders for butterfly releases. 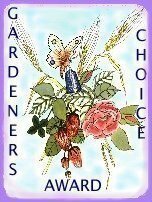 For referrals to other butterfly farmers, please go to our Links page. The Butterfly Conservancy, formerly headquartered in Carmel-by-the-Sea, California, continues to support Lepidoptera (butterfly and moth) research and educational programs in the United States and developing countries. We participate in tag-and-release Monarch migratory research, butterfly population and host plant monitoring programs, and land conservation and preservation efforts. Our primary concern is the welfare of these exquisite and fragile creatures above all else. and we will understand only that which we are taught. Copyright 1997-2009, The Butterfly Conservancy and AKindOfMagick Web Designs.